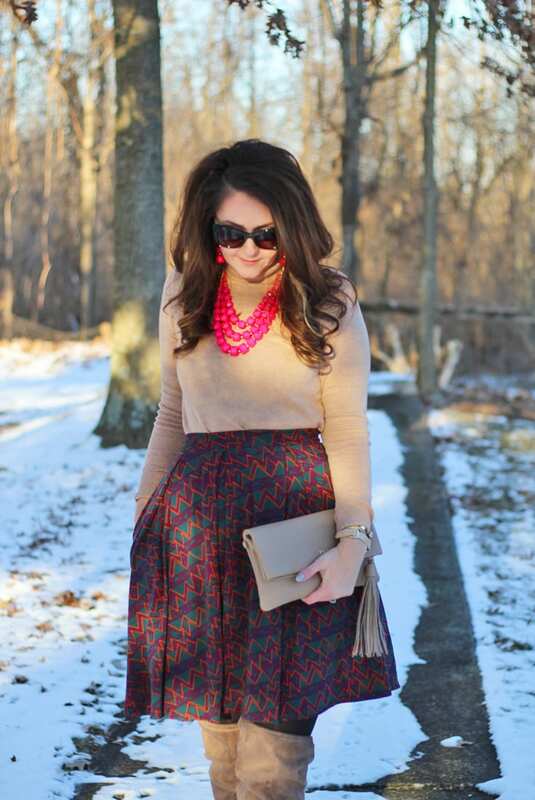 Top: JCPenney (tall version)│Skirt: c/o LuLaRoe Katie Derrenbacher│Watch: Kate Spade–check your outlet store! 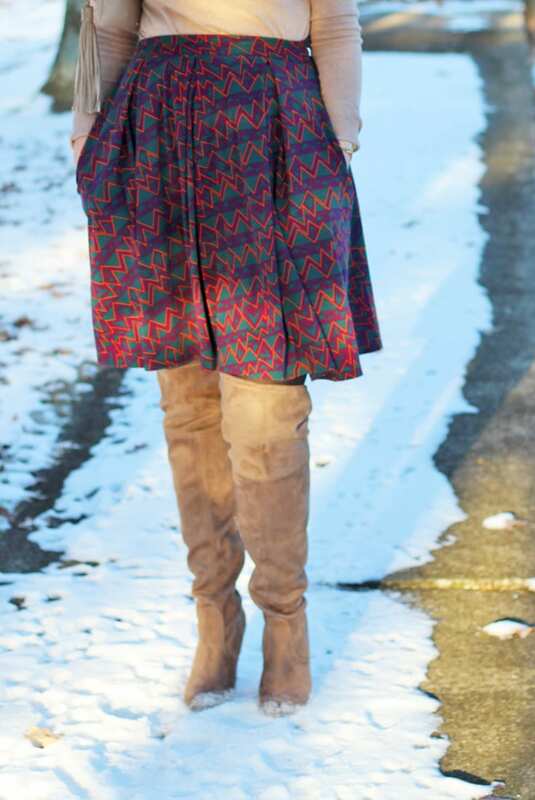 (same face, but I’ve never shopped this site before)│Cuff: Loren Hope via Rocksbox–use code BRIGHTONABUDGETXOXO to get your 1st month FREE│Boots: Target–JUST $19.99!!!! BUY THESE NOW!!! !│Clutch: GiGi New York│Necklace + Earrings Set: Charming Charlie’s–recent in-store purchase (similar necklace, similar earrings)│Sunglasses: Quay via People Magazine–fun package for $19.99 that includes the sunglasses! 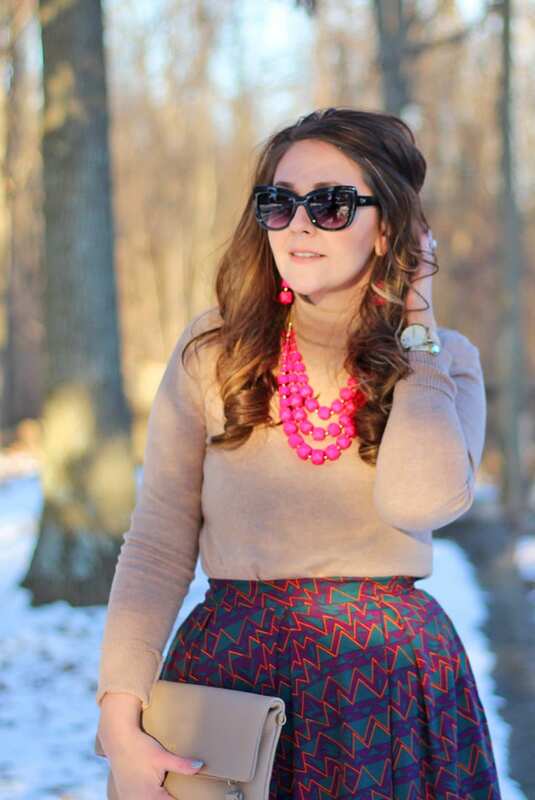 If you’ve been around for a while, you know that I’ve developed a love for LuLaRoe. 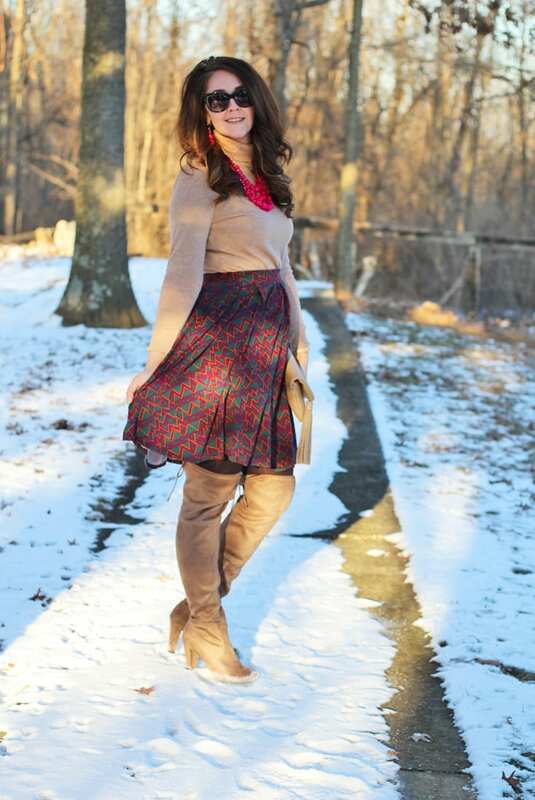 LuLaRoe pieces are modest, comfortable, and versatile. I love that I can feel put together yet comfortable at the same time. 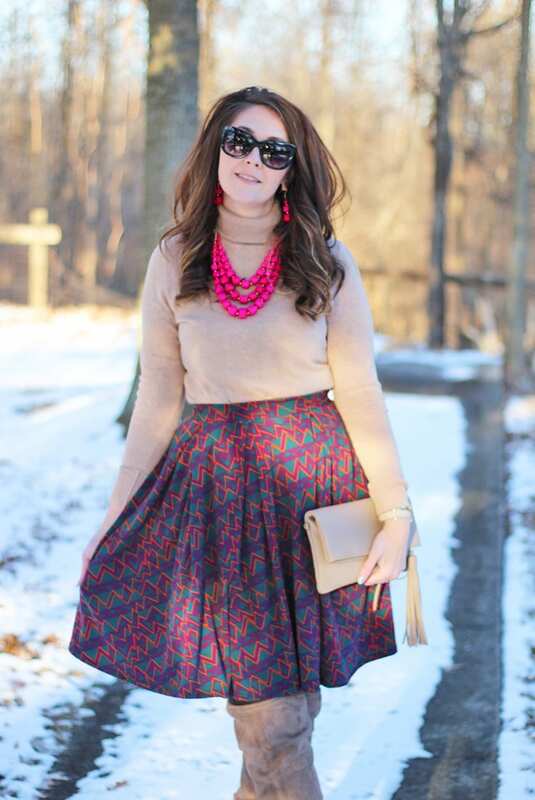 The LuLaRoe Madison skirt that I’m wearing sits at your natural waist, which is a win for all of you like me with bigger hips and a smaller waist. That said, it works for a variety of body types. It also has POCKETS (cue the cheers)! 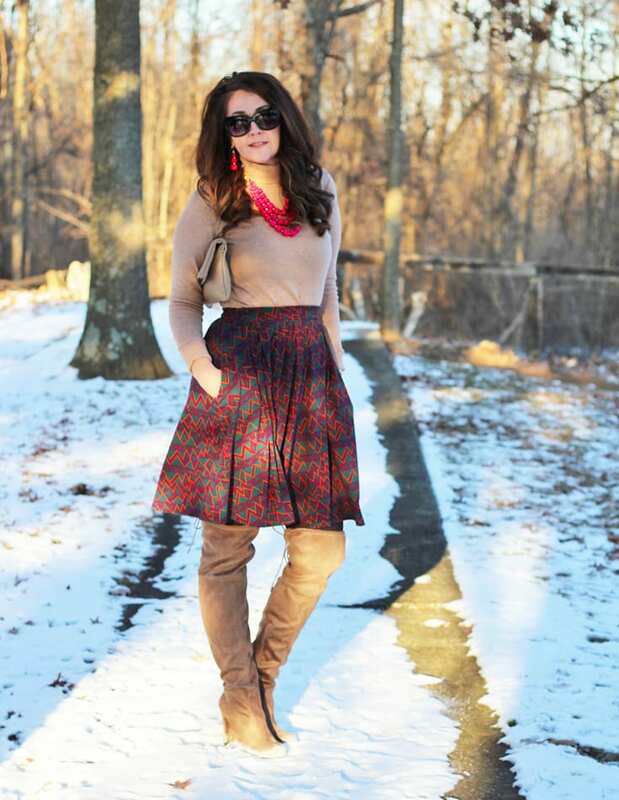 My favorite way to style my LuLaRoe pieces, like this Madison skirt, is with pieces that are already in my wardrobe, like this turtleneck (fyi, I’m wearing the tall version for extra length). 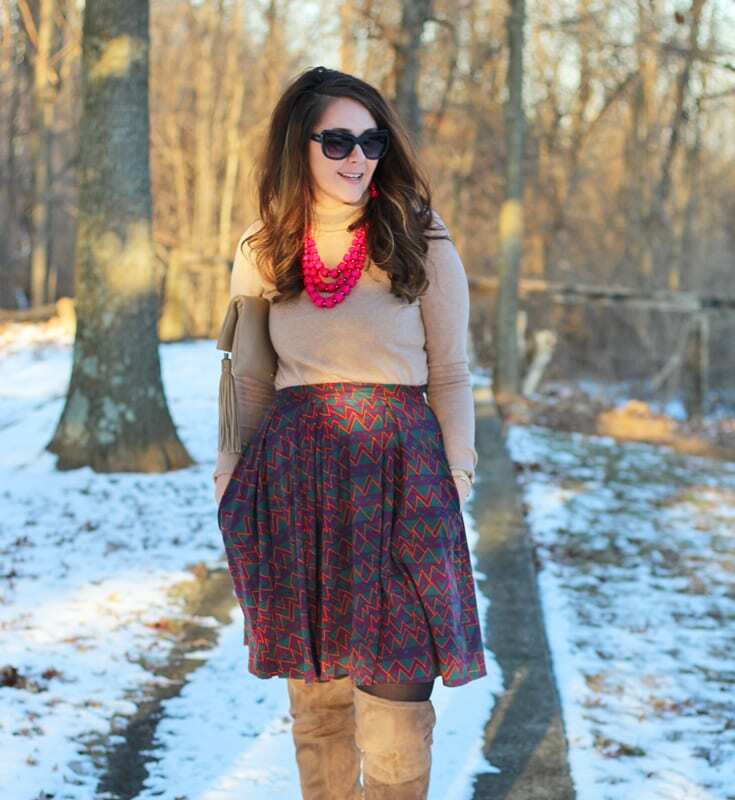 I loved the camel turtleneck with the darker shades of the skirt. 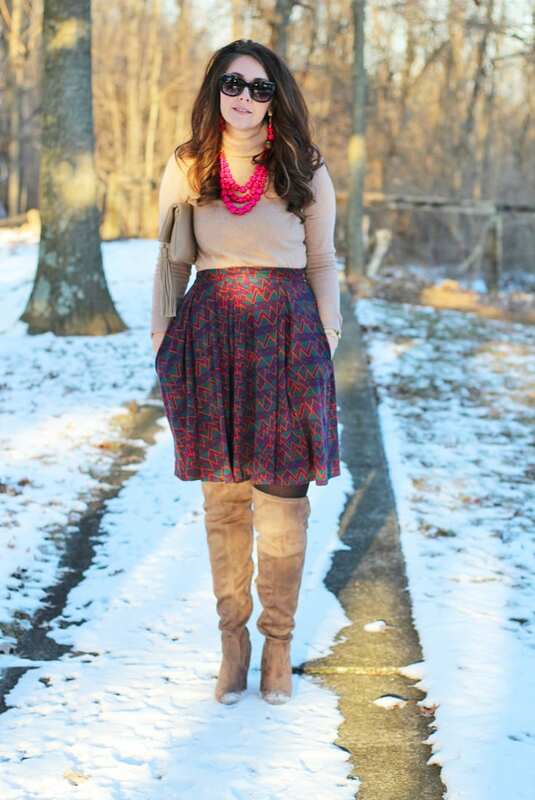 My OTK boots paired perfectly with it all. 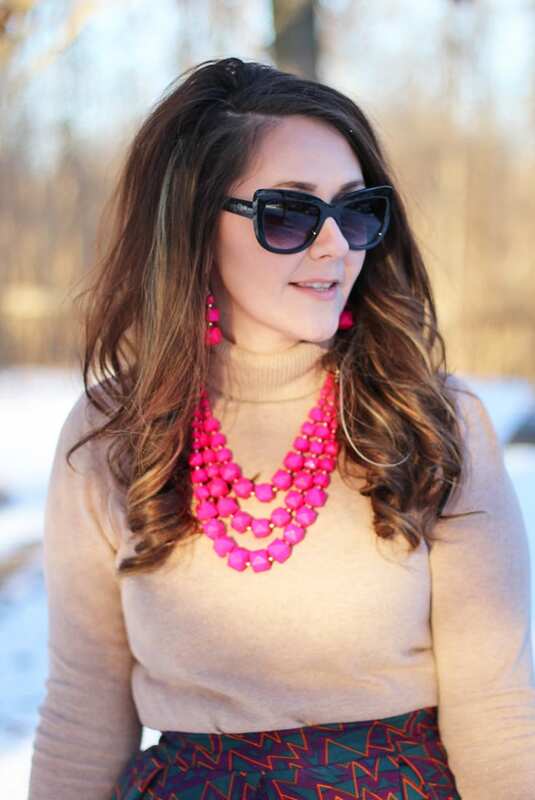 I topped everything off with a hot pink necklace and matching earrings because 1) I love camel + hot pink together and 2) it plays well with the skirt. They came together as a set, and while I can’t find them online, they were a recent purchase at my local Charming Charlie’s store.